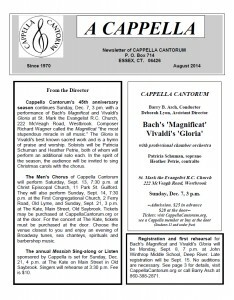 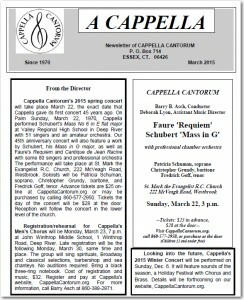 Cappella Cantorum has retired its newsletter. 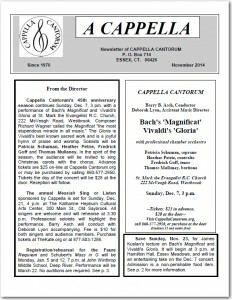 Appearing here are the final four issues. 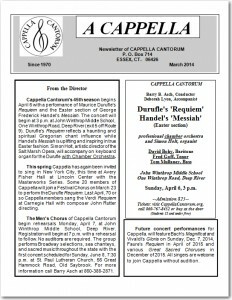 For timely news about Cappella Cantorum, please subscribe to our mailing list using the box at the top left of this website page.